Elevating a classic design with a playful print, the PS by Paul Smith tailored fit shirt is made from pure cotton and adorned with the label's 'Urban Fox' print. 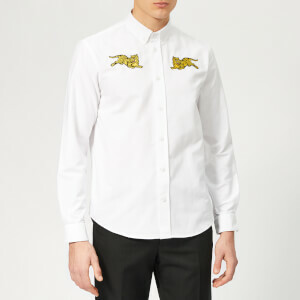 Cut with a tailored fit, the long sleeve shirt features a pointed collar, central button fastening with black gloss buttons and a pair of long sleeves with buttoned cuffs. Finished with a slightly curved hem.